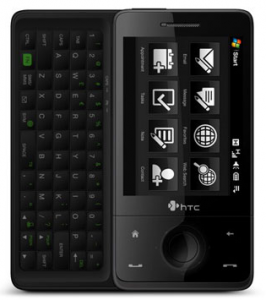 Ready to put your hands all up on Sprint’s version of the HTC Touch Pro on its previously announced release date of October 19th? Weeeell, it turns out you’re going to have to wait a bit longer. Sprint expects to slightly delay launch of the Touch Pro by HTC to ensure we have adequate inventory in all channels before making the device commercially available. Customers can expect the device to become available in select national retailers by the end of the month and then in all Sprint sales channels including online at www.sprint.com and Sprint Stores by early November. So, they’re having trouble ensuring “adequate inventory”, eh? I can’t possibly imagine what could be slowing things down. Fortunately, it doesn’t sound like it’s slipping back too far – “select national retailers” (read: Best Buy) by the end of the month, and Sprint’s own outlets in early November.